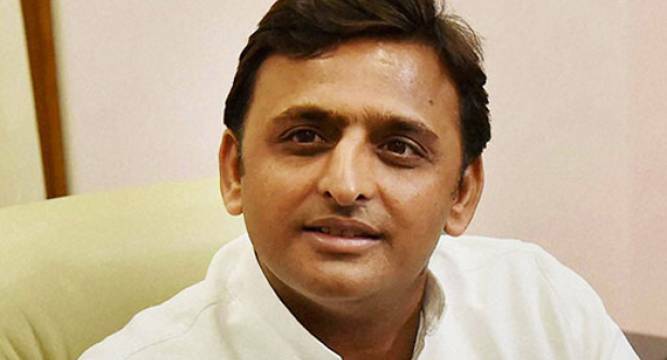 Uttar Pradesh Chief Minister and Samajwadi Party leader Akhilesh Yadav today said his party would contest the 2017 Assembly polls in the state alone. “Samajwadi Party will fight the next Assembly election in the state alone,” he said when reporters asked him about possible alliance partners in the polls for his party. Yadav, who was at the Green Park Stadium here to attend a ceremony to welcome the ‘Asha Yatra’ - from Kanyakumari to Kashmir - of spiritual guru Sri M or Mumtaz Ali Khan, said as CM he is of no one party and works for development of all. Without naming any individual or party Yadav said those who are raking up the Ram Temple issue ahead of the 2017 polls are “polluting” the atmosphere of the country and the state. “Anything beyond limit is wrong and is considered as pollution. Which party is spreading pollution in the state or in the country? You know it better than I do. Catch them and ask them,” he told media persons when asked about the issue. He said his party is busy in completing developmental works like making available ambulance services, metro project, new roads etc, which benefit all, irrespective of party. Welcoming the spiritual guru and his ‘Asha Yatra’, the Chief Minister said the country today needs people like Sri M to ensure an atmosphere of peace and brotherhood. “The ‘Ganga-Jamuni mahaul’ of Uttar Pradesh welcomes all in the state. Sri M has embarked on this journey with the message of peace and brotherhood. Hence, being the head of the government I am welcoming and congratulating him and his team,” Yadav said. Earlier SP workers tried to make it into the Stadium to take part in the event and police had to lathi-charge them to stop them. Some journalists were also hit in the lathi-charge. The Chief Minister also spoke of pollution in the river Ganga and said earlier its water never needed to be cleaned but it’s no longer so. “Look at Delhi. The pollution there is so high they have to resort to odd-even (road-rationing scheme). Supreme Court has to tell what should be the permissible limit of noise. All these are happening due to us. We all need to work to fix this,” he said.